You can also fix your look by sporting swept back bangs. The words “pixie” and “old” don’t mix together but there are instances when the two are combined carelessly. Pixies shouldn’t look shaggy and overgrown. To make sure you look trendy and young, do not miss your regular trims. You can also fix your look by sporting swept back bangs. The season of perfect bobs are out. Be young and trendy by going for a messy layered bob like Diane Keaton’s. Her layers add texture and the messy part says “cool girl.” Actually, the layers draw all the attention to her best features, her smile! If you want to experiment with curls, make sure you don’t end up with pageant hair. Go for something natural like Michelle Pfeiffer’s loose, carefree waves. To get her young-looking locks, rake a tangerine-sized dollop of light-hold mousse from the roots of your hair to the ends. Let your hair air-dry then wrap sections of it in various sizes around a medium-barrel curling iron for about five seconds each. Make sure your hair doesn’t look too done. Finish up by running your fingers through your hair to break up your curls. Be careful with blonde colors. If you go too light, you’d look like you have a baby chicken on your head. It will also make your face look brittle and older. To look younger, opt for an ashier blonde with a darker color on your roots. By doing so, you add more dimension to your hair and definitely more life to your look! We love Amy Adam’s braided updo during the Golden Globes. It may remind you of your Pippi Longstocking days, but this braided and middle-parted updo will make you look 10 years young. Always remember: braids will look chic on you if they are twisted up into a bun. Never wear them down unless you want to relive your playground days. Avoid droopy hairstyles. To appear younger, go for something like Kate Moss’ roughed-up hair. Learn from the supermodel: natural looks beautiful and YOUNGER. Pair your just-woke-up-from-bed hair with smoky eyes and a stylish outfit to look trendy and amazing! On one occasion, Elizabeth Banks appeared on the red carpet with barrel curls and a forehead flip. We were mortified! Her hairstyle is something we can imagine on a bust in a museum. Luckily, the actress changed up her hairstyle into something more fresh and young. Her middle-parted and tousled waves are absolutely youthful. If you want to sport a shoulder-length bob, draw inspiration from Banks’ hairstyle. Her bob has the perfect texture you would want to have too. Before Drew Barrymore went for a lighter hair color, she had dark brown locks. Don’t get us wrong! Dark brown can look classy and beautiful but a single color has the tendency to look flat. It may even look a little wig-like. 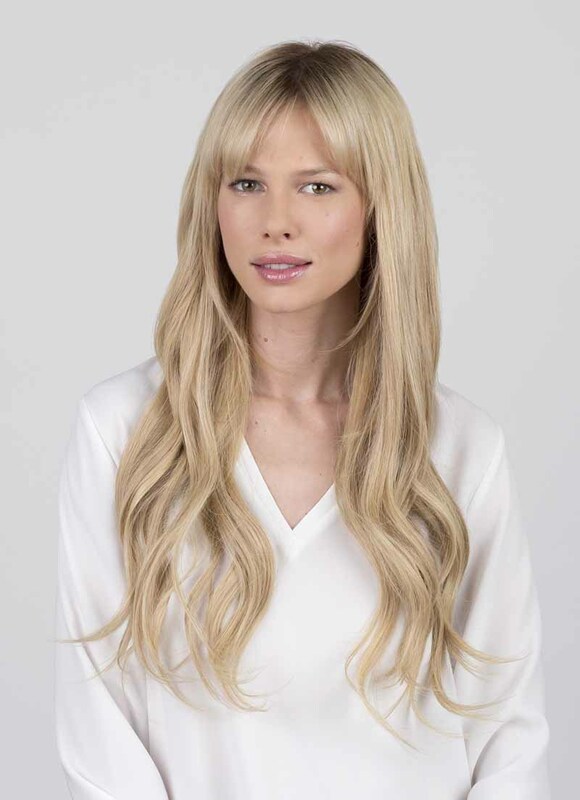 Play up your hairstyle by having lighter and darker shades of creamy blonde. This creates more dimension and makes your skin glow. Never get caught sporting a pouf. It’s complicated and totally outdated. Opt for a roughed-up bun like Scarlett Johansson’s. Her slightly roughed-up style is young-looking and elegant at the same time. This hairstyle also looks youthful no matter your hair color. To achieve Johansson’s look, pull your hair back in a bun and run your hands over the surface of your hair from the back to the front to create fly aways. Cate Blanchett often appears on the red carpet with a shiny hairstyle and we are not thrilled about them. We love her look though in this photo where she looks young and vibrant. Avoid shiny hairstyles that make you look like you’re the mother of the bride or you’re about to go to the ball. Sure, they look formal and professional but they make you look ten years older. Quit the shiny look. Forget that hairstyles should have shiny perfection. Looking ten years younger is as simple as that! 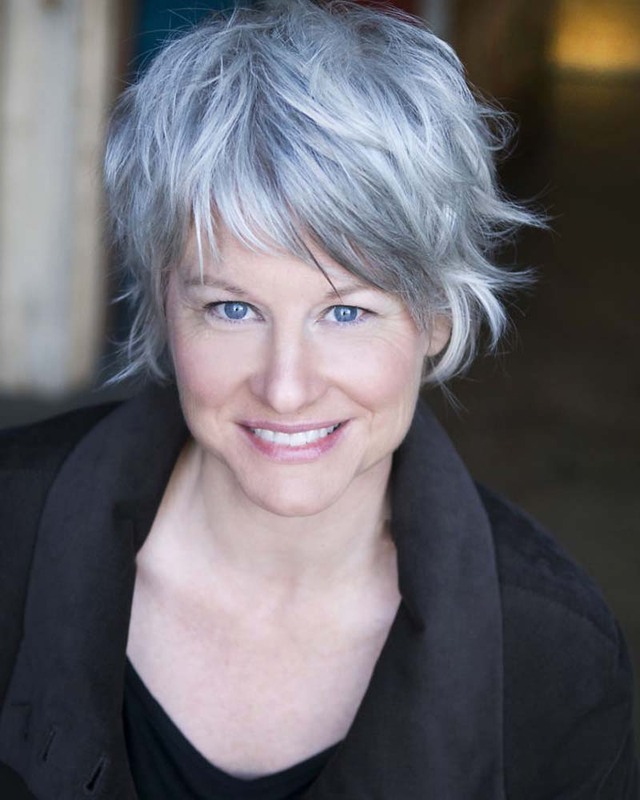 It's amazing how flattering one of the biggest fears of all women, grey hair, may appear in modern sassy hairstyles. 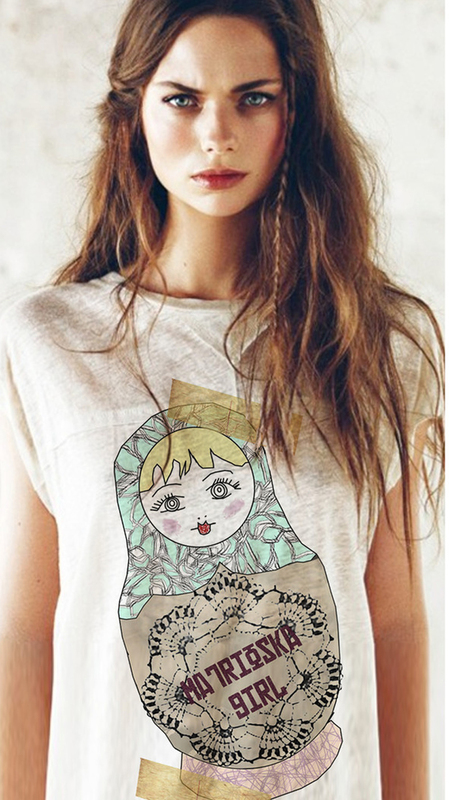 A chic pixie with shattered outlines is an excellent choice. 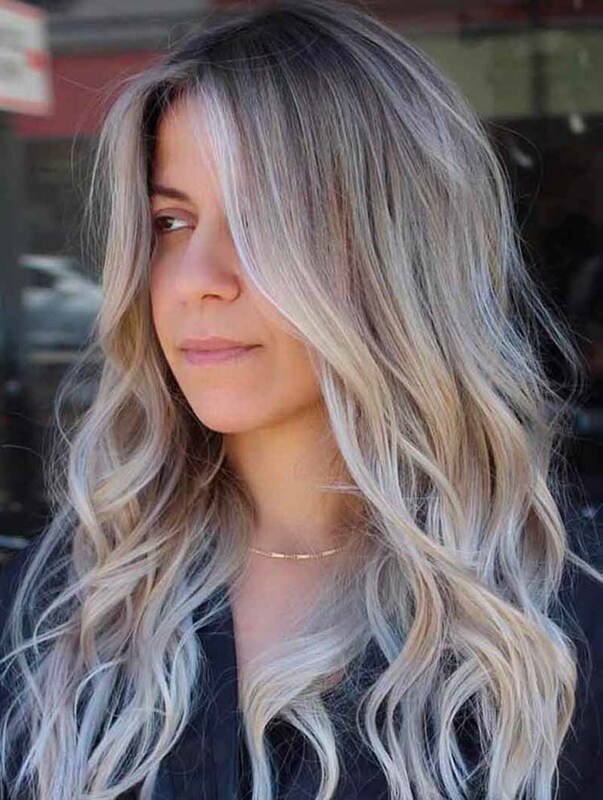 A peek-a-boo style will add a youthful note to your image and won't look foreign if you style long bands into a soft wave that can easily be swept back. Extra large curls, alternating with spirals are a great solution for a stylish peek-a-boo. Combed back and texturized into light waves or straight lines, your short chic hairstyle will become even more attention-grabbing with a bold saturated hue, such as this deep intelligent burgundy. 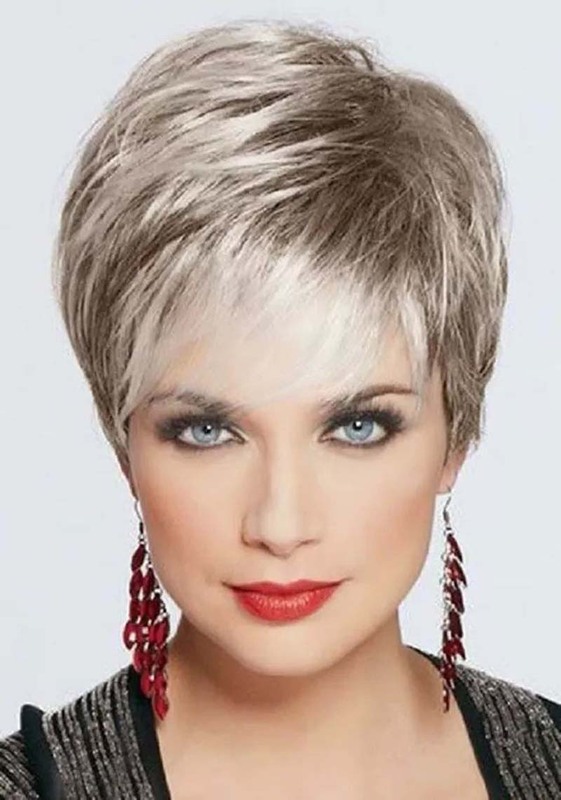 This short grey hairstyle looks very harmonious and modern. Fix the gorgeous feathery effect with any light hold gel, and you're ready to go out. You can highlight your natural beauty by using a bold color to compliment a minimalistic cut. For instance, the spiky pixie looks sophisticated but it's actually easy to style. The sassy spikes can be styled with wax and swept towards the front. Different nuances of the hair color can another dimension to the cut. 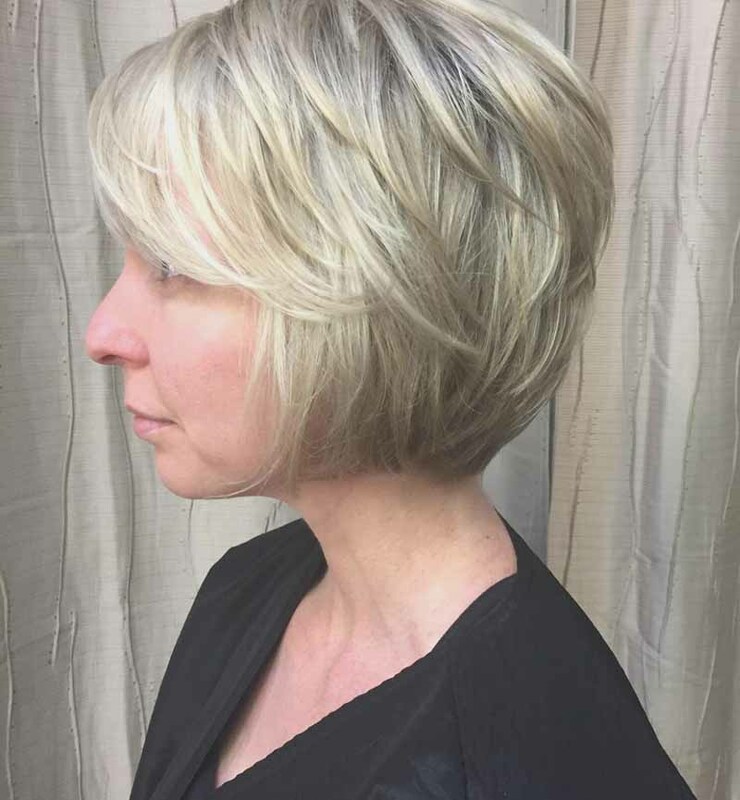 The angled bob accentuates your jawline, cheekbones, and feminine features in the sharpest way possible. 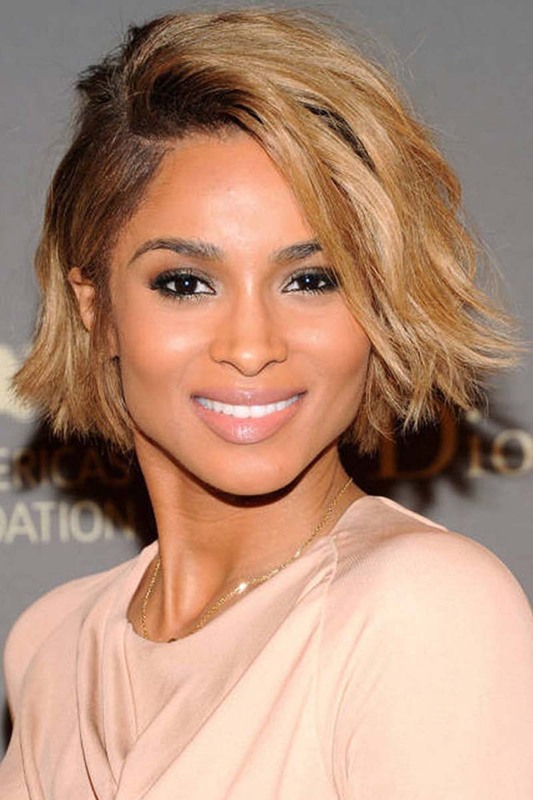 Brighten up your face with some highlights and give it that youthful look with length. Blunt cut is an ever green style and it is considered one of the most common hairstyles that will make you look younger. This cut goes beyond her shoulders and looks really versatile. Soft full fringe and heavy bangs hide your fine lines more than anything and beautifully flatter a 30 something face.